What are the Legal Rights of a Child Bitten or Injured at a Day Care Center? In Arkansas and other states, parents rely upon day care centers to provide a safe and nurturing learning environment during the workday. For those who choose to own a day care center or work in one, it is important that safety needs of all the children, especially infants and toddlers, are met. Unfortunately for far too many children, injuries and incidents take place that are otherwise avoidable and preventable. In particular, injuries and incidents tend to take place when older children are permitted to play in an area occupied by much younger children. For instance, a 10 year old who has issues with hyperactivity and space issues should not be placed in the same room with an infant or toddler. Most states have rules and regulations in place regarding staff-to-child ratios and the proper supervision and separation of children by age in the day care setting. Despite these requirements, injuries to children in day care centers still occur. As recently reported in the news of Arkansas, bite injuries are an example of potential harm that can come to children in day care. According to Mayo Clinic, human bite injuries can be even more dangerous than animal bites because of the differing strains of bacteria and viruses contained in human mouths. Correspondingly, children who sustain these types of injuries should seek medical attention because a tetanus shot may be necessary or an infection may arise. See Mayo Clinic – Risks of Infection – Human Bites. Therefore, biting is a potentially serious problem and should be avoided through consistent supervision and the following of the applicable rules and standards for day care centers. 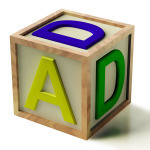 With this in mind, a day care may be liable for a bite injury sustained by a child in its care. Though a day care center is not the absolute insurer of a child’s safety, day cares do owe their charges a duty of reasonable care. This means that day care centers should take reasonable precautions to safeguard the children in their care. Because biting is a common behavior in children, day care centers should take reasonable precautions to prevent it. For example, in the situation out of Arkansas, it was reported that caregivers laid down a 10-month-old baby for tummy time when an older child bit him. Reports also indicate that the older child was not supposed to be in that area and was known to bite. While it would probably be unreasonable to expect that the day care provide one to one supervision for every child, it would likely be reasonable to expect that the day care follow procedures about separating age groups, especially with a child with a known history of biting. 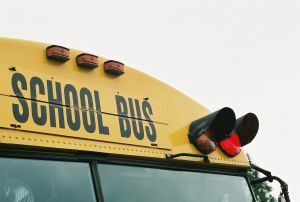 In Arkansas and other States, children enrolled in day care centers and other summer programs are at risks for injury and death during transportation and services. There is a simple way to prevent these hot car deaths and hot van deaths from taking place. In fact, these injuries and deaths can be avoided with a watch eye, clipboard, attendance list, and a pen. It is vital that all day center providers and summer camps take roll call whenever the van, bus, or vehicle is loaded or unloaded. All children must be accounted for at all times. Furthermore, whenever a bus, van, or other mode of transportation is stopped without supervision onboard and without proper ventilation and air conditioning, there should be a physical and verbal sweep of the bus, van, or vehicle to make sure that all children are off the bus. What happens when a child is left on a bus, van, or other vehicle during periods of warm or hot weather? Well, the headlines speak for themselves when there is a report of yet another hot van or hot bus death involving a school, summer camp or day care center. In West Memphis, Arkansas, it was reported that 5 year boy (Christopher Gardner Junior) died as a result of being left in a day care center van. It was reported that the temperature in the van once the vehicle was turned off reached 141 degrees Fahrenheit. Tragically, Christopher was left on the van for 8 hours when he was finally located in the afternoon. Certainly, this was a tragic event and day for Christopher’s family, extended family, friends, neighbors, and the community. It was also reported that Christopher was signed into the facility in the morning. It would appear that this was done without truly accounting for Christopher’s whereabouts. Again, a watchful eye, attentiveness, and the dedicated use of a roll call list whether with pen and paper or an iPad or other electronic device would have avoid the tragic consequences as reported in West Memphis. 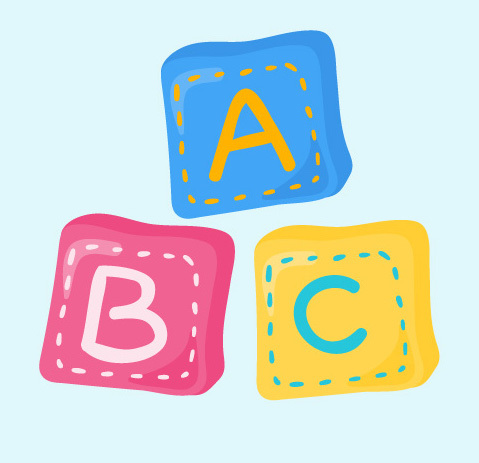 What Regulations Apply to Arkansas Day Care Centers? What if a Child is Injured at a Day Care Center? Legistlators in Arkansas have revised the applicable regulations for day care centers in an attempt to improve the quality of care as well as the enforcement of the same. 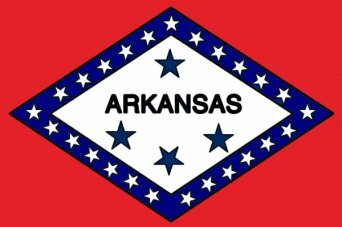 It has been reported that there are over hundreds of changes to the existing day care center / child care regulations for licensed day care centers in the State of Arkansas. There will be stricter rules for background checks and there will be stricter educational requirements for day care center directors. Education and regulation can go a long way to improving the care and to better protecting children enrolled in a day care center. While regulations are important, they are not always filed or strict enough to bring some day care centers into line. It is important that parents seeking or currently with day care / child care in place also exercise due diligence in investigating and monitoring the day care center. Parents should frequently visit the day care center and also visit at odd hours to make sure that the quality of care is consistent at all times of the day and during all day care related activities. 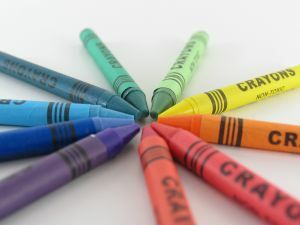 You can read more about the Arkansas Regulations for Day Care Centers at New Regulations Go into Effect for Day Care Centers in Arkansas. 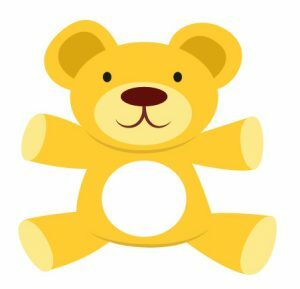 Infants are at risk for suffocation and asphyixation when they are put to bed with pillows, loose blankets, and / or stuffed animals. If you ask most parents if they would put a plastic bag or a sheet of plastic in a crib with an infant, most parents will say that is ridiculuous and reckless in that it puts the child at risk for suffocation. Clearly, it would be a rare occurence for a parent, day care center, or other child care provider to put an infant to bed with a sheet of plastic or a plastic bag for these very reasons. 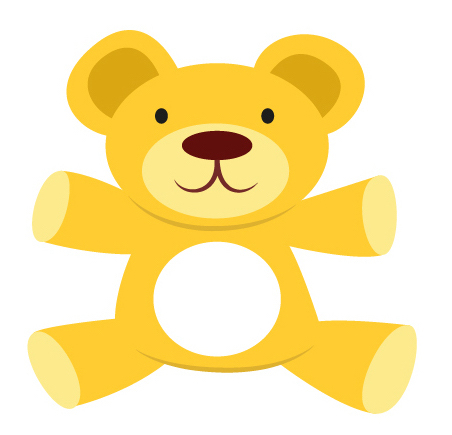 However, many parents and child care providers fail to recognize the risk associated with blanets, pillows, and stuffed animals in the crib or sleeping area of a child. In fact, some blankets and pillows have cartoon characters on them and seem like a good, soft environment for a child to sleep on or near. The very problem with these items are the softness which can quickly turn into a trap if an infant becomes face down or in contact with the soft items to the point that breathing is cut off and / or drastically affected. It was recently reported in Arkansas that an infant died after she was put to sleep near two pillows. It was reported that the infant rolled over and ultimately suffocated. The mother was out of the room for a short period of time. This incident is one of many that unfortunately take place when a child is in a crib or sleeping area near soft objects. Question: Should Background Checks Be Conducted for Volunteers at a Day Care Center? Answer: Absolutely – Here is one story showing why . . . In Arkansas and other States, day care centers have a duty to supervise, educate, and otherwise care for the children in a safe and supportive environment. The day care center should screen, background check, and train employees AND volunteers as necessary. The safety and well being of the children should be the focus of the day care center. At times, parents and others will request to serve as volunteers at the day care center. While most volunteers are caring individuals who only want to serve the day care center and community with their time and efforts, some volunteers have ulterior motives and visit the day care center as voyeurs or worse yet molesters seeking their next victims. It is certainly a study in contrast in that volunteers may be the most altruistic or the most vile. Again, most volunteers have good intentions and good motives; however, because of those that seek to prey on children in day care centers, schools, and sports organization, it is important that background checks are completed and that ALL volunteers are properly supervised and NOT given the opportunity to abuse or otherwise harm a child in a day care center, child care facility, school, or other location. Alexis George a 6-year-old girl of Conway, Arkansas, tragically died after she was hit by a vehicle while crossing the street on her bicycle. Alexis was following her siblings across the street when she was struck by the vehicle. The children were crossing Sapphire Street traveling towards Meadowlake Street. Her siblings made it across safely, however, Alexis came into contact with the left front end of an oncoming automobile. The contact caused Alexis and her bicycle to be thrown over the vehicle. She was taken to Conway Regional Medical Center and subsequently transported to Arkansas Children’s Hospital, where she was later pronounced dead. La Tresha Woodruff, public information officer for the Conway Police Department, said Alexis died as a result of the personal injuries she sustain in the collision. For more read 6-year-old Arkansas girl dies of personal injuries after bicycle struck by car while crossing street. In Arkansas and other States, emergency room doctors and pediatricians see their fair share of child injuries from bicycle accidents. According to Mechelle Winslow of the Arkansas Children’s Hospital Injury Prevention Center, bicycle helmets are an important safety measure for children riding bicycles. 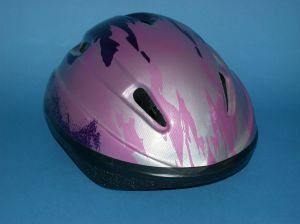 Head injuries to children are common in bicycle accidents. With a proper helmet, many injuries can be prevented or lessened with the helmet taking the brunt of the trauma rather than the child’s head. A good suggestion by Winslow is to have the child pick out his or her own helmet. This may make it more likely for the child to wear the helmet. Children should be taught from an early age that a helmet is not optional. No helmet – no bicycle riding. Eventually, the child will put on the helmet without even being asked to. You can read more about this topic at Bicycle Safety Tip to Teach Your Children. In Little Rock, Arkansas, a tragic incident took place on a school bus. It was reported that an 8 year old boy (Malik Lewis) boarded the bus and then opened the emergency door and fell out. He suffered a fatal head injury after hitting his head on the pavement. At the time of the incident, Malik was calling for his mother as he was opening the Emergency Door. It is certainly a tragic ending to such a young life right in front of others including his mother. You can read about this story at 8 Year Old Falls Off School Bus in Little Rock, Arkansas. In the United States, there is a right to bear arms under the Second Amendment. With rights come responsibilities. These responsibilities include the safe use, storage and transportation of guns and fire arms. 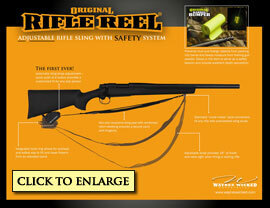 There are many companies that have produced some excellent products that make guns safety. I had the opportunity to pose some questions to Wayne Woolsey, CEO of Waynes Wicked Enterprises, Inc. based in Fayetteville, Arkansas. The United Health Study released a report that ranked Arkansas as 40th of the 50 States reviewed. While Arkansas did improve from its prior ranking of 44th last year and 50th from 10 years ago, health officials and advocates point out that there are still major health issues to address for the residents of Arkansas. Obesity, smoking, and chronic health problems are among the factors considered for the ranking. Arkansas is not alone in facing the mounting problem of obesity especially in children and teens. You can read more about Arkansas’ ranking and other issues addressed in the report at Arkansas Ranks 40th in Health Report Among States.